Unique Creations ~ Orders Custom-Designed for Your Needs! 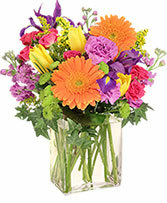 ~ Prompt Delivery ~ Top Rated Local Florist! These comments will go directly to Flower Shop Network. This is NOT a method of direct communication with Chantilly Lace Floral Boutique LLC for the purposes of ordering or rectifying problems. The bouquet was gorgeous and even though we ordered kind of late, they still delivered the flowers the same day. Thanks, guys! You are very welcome.Glad we were able to have your order deliverd onthe time ordered. We strive to do our very best to keep our customers as happy as possible. Fabulous! They followed my directions about where to leave the flowers (Thank you!) and my friend said they were gorgeous. A week later she sent a picture and they were still beautiful. Wonderful arrangement that lasted. Thank you for sending some joy from me. Excellent service from start to finish. Flowers were beautiful and the family was very appreciative. Wonderful place with beautiful flowers and good customer service! Very good website. 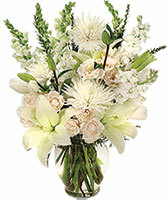 Ordering went very smoothly, & those who received the plant are definitely enjoying it. I recommend a little info card be included in the plant so they know what kind of plant it is & how to care for it. Also the size of the plant would've been useful. I thought it was going to be more of a floor plant, but it should grow to be one. Otherwise very satisfied. Would use again. Excellent service. On short notice they delivered the plant I ordered. Plant was beautiful. Fabulous, custom, just right service. I would highly recommend them to others! Thank you Alissa for the excellent review. We are so happy that you enjoyed your order. I have used them twice now and the entire experience was beyond my expectations. The arrangements were beautiful and delivery was perfect. I will continue to use Chantilly Lace Floral. The flowers were beautiful and even prettier than they looked online. I was out of town on family business and I needed something to go to my wife for her birthday. 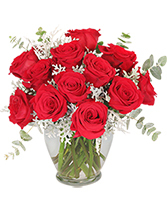 The arrangement I ordered was great and you accommodated my needs changing the delivery location at the last minute to the location she had gone to. Great service. Will call you again. Web site was easy to use. Flowers were reasonably priced. The arrangement was exactly as pictured. Wonderful experience. 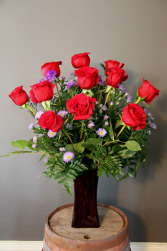 The arrangement was perfect and delivered when requested. Two weeks after the order, the flowers are still blooming and beautiful. I have received two arrangements from Chantilly Lace in the last 2 weeks. They have both been extremely amazing. Flowers are so fresh and so beautiful they have taken my breath away both times. They last a really long time also. Thank you for all the great work! The arrangement was beautiful and the flowers extremely fresh. Lots of buds ready to bloom. Great service and value. Beautiful arrangement. Thank you for helping us celebrate our daughter's birthday! Kathy really puts herself into her work. She creates custom arrangements and always adds special flourishes to my orders. Their deliveries are always on time. I will recommend her to all of my friends and colleagues. These people are top notch and very helping. If I ever send flowers again, it'll be from them. I've already recommended them to a friend. Thank you! Went above and beyond to make sure needs were meant and order was correct! Kathy created a beautiful arrangement for my daughter's 8th grade dance. Everyone was very impressed. Thanks again for helping me on such short notice!!! Purchased a knock out arrangement that kept me out of the dog house. Prices were great and the quality was some of the best I've purchased. The shop has a bunch of quick things to grab and go too. Thanks for saving me! Cute shop with a ton of great gifts. I bought a neat Orchid plant for my wife and had them design a unique flower arrangement for my mother. Both lasted longer than I expected. I will definitely return. I met Kathy 10 year ago and she has Never let me down in designing the most magnificent floral arrangements Ever!! I have had many occasions, weddings, birthdays, receptions, special dinner occasions , funerals, etc. I highly recommend Chantilly Lace Floral. Kathy is so very special and so dedicated to her customers, whatever they request to be assembled with great thought and designs that you would never see in another shop. You will get your moneys worth and More!! Thank you very much. We are always happy to hear from all our customers. If we can be of further assistance to you we will always be here. Beautifully arranged! I put a picture on our refrigerator. One of the best arrangements Ive ever ordered. Arrangement looked EXACTLY as shown on website and easy to order. 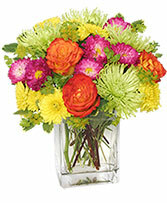 Flowers were delivered on the date requested. I will definitely use this florist again! Great experience and very easy to order online. Had seen some of their work in the shop and was really impressed. Very talented and friendly people. Will be using them again in the future. Great Shop! Called them last minute for a rush funeral order, was very accommodating and professional my florist of choice in Chattanooga!